Home / QuiBidder of the Week – Nachaat A.
QuiBidder of the Week – Nachaat A. Lower value items like gift cards are typically the easiest products to win on QuiBids, which is why we’d like to highlight the newest QuiBidder of the Week, Nachaat A., who has an interesting bidding strategy which involves only bidding on BP Gas Cards. This is a smart strategy for several reasons. One important benefit to only bidding on one type of product is that you become better acquainted with what that particular product’s typical ending price is. Therefore, the more BP Gas Cards that Nachaat wins, the better he becomes at winning BP Gas Cards. 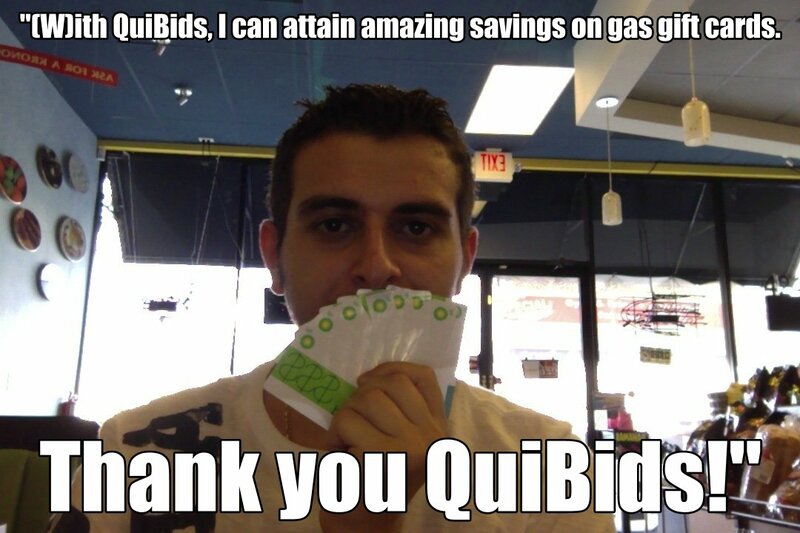 Be sure to read more of Nachaat’s QuiBids story below, and don’t forget to post a “congratulations” to him in the comments! QuiBidder of the Week – Tommi M.
QuiBidder of the Week – Debbie L.
QuiBidder of the Week – Denise A.
QuiBidder of the Week – Bina R.
QuiBidder of the Week – Donna B.